World War, 1939-1945; Germany; Fiction. World War, 1939-1945; Underground movements; Czechoslovakia; Fiction. 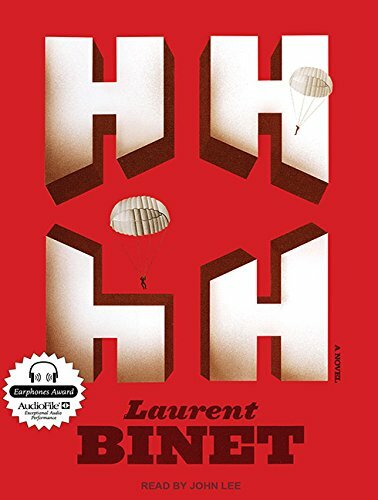 Â¡ from their dramatic escape of Nazi-occupied Czechoslovakia to England; from their recruitment to their harrowing parachute drop into a war zone, from their stealth attack on Heydrich's car to their own brutal death in the basement of a Prague church.A seemingly effortlessly blend of historical truth, personal memory, and Laurent Binet's remarkable imagination, HHhHÃ¢ÂÂan international bestseller and winner of the prestigious Prix Goncourt du Premier RomanÃ¢ÂÂis a work at once thrilling and intellectually engrossing, a fast-paced novel of the Second World War that is also a profound meditation on the nature of writing and the debt we owe to history.